Home Trendy News Suspected “Golden State Killer” Joseph DeAngelo was arrested in April 2018. Suspected “Golden State Killer” Joseph DeAngelo was arrested in April 2018. 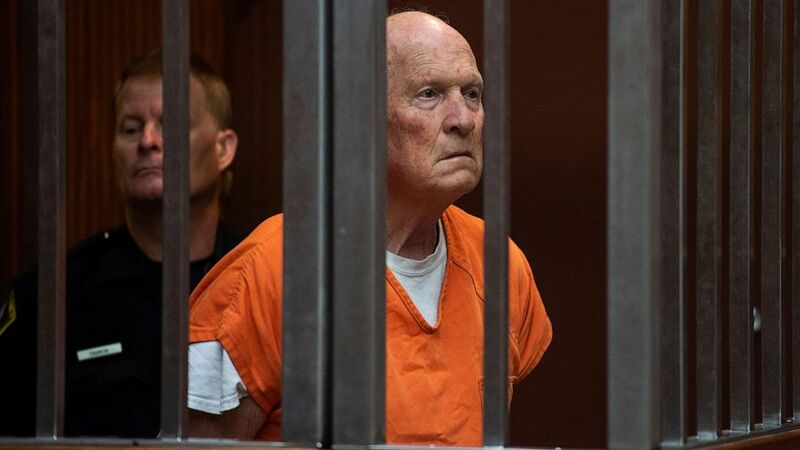 Prosecutors will seek the death penalty against suspected “Golden State Killer” Joseph DeAngelo if he is convicted of the charges against him, they announced in court in Sacramento on Wednesday. DeAngelo, now 73, is accused of committing 13 murders, as well as rapes and burglaries, across California in the 1970s and 80s. DeAngelo, a former police officer, eluded law enforcement for decades, until he was arrested in Sacramento County in April 2018. (Paul Kitagaki Jr./The Sacramento Bee/Pool via AP, FILE) Joseph James DeAngelo stands in a Sacramento, Calif., jail court, May 29, 2018. DeAngelo was the first public arrest through genetic genealogy, a new technique which takes the DNA an unknown killer left behind at a crime scene and identifies a suspect by tracing the family tree through his or her family members, who voluntarily submit their DNA to public genealogy databases. Since DeAngelo’s arrest, genetic genealogy has helped identify more than 40 suspects in violent crimes. DeAngelo’s alleged crimes span multiple jurisdictions in the northern, central and southern parts of California, but he will be tried in Sacramento.